The information provided below is a brief overview of key elements of the AGMT Certification Program. For complete details, please see the AGMT Candidate Handbook, here. 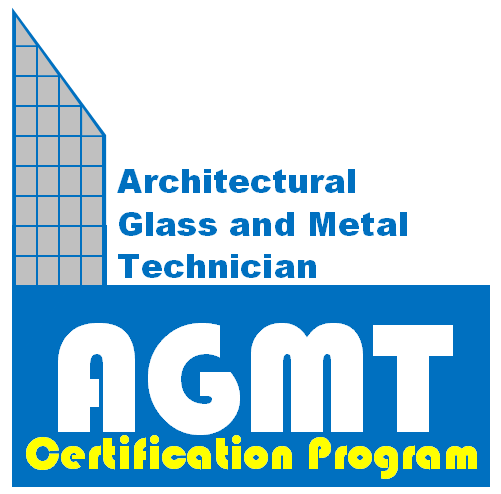 AGMT, or the Architectural Glass and Metal Technician Certification Program was created by and for the Architectural Glass and Metal Industry with over 18 months of input and direction from Subject Matter Experts from all corners of the industry, including, but not limited to: glazing technicians, glazing contractors, architects, engineers, general contractors, construction managers, industry consultants, manufacturers, suppliers, and many others. 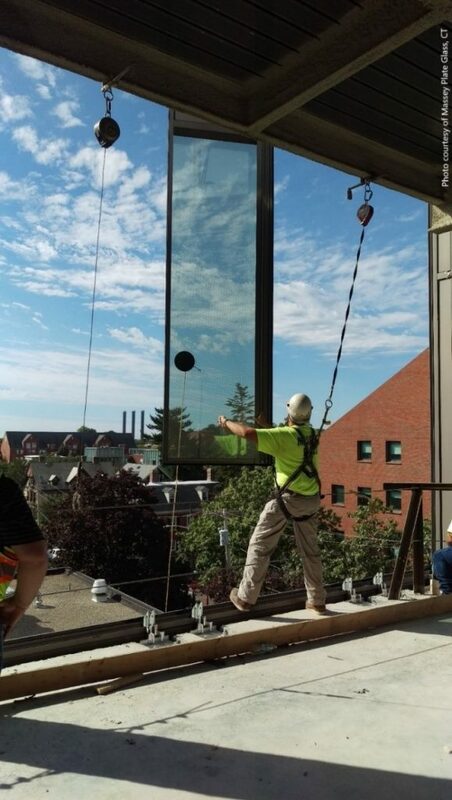 The program also underwent a rigorous beta testing phase, where the exam content and setup was put through its paces and feedback from dozens of glaziers across North America helped fine tune the examination process. The resulting program is one that tests qualified candidates on industry best practices. 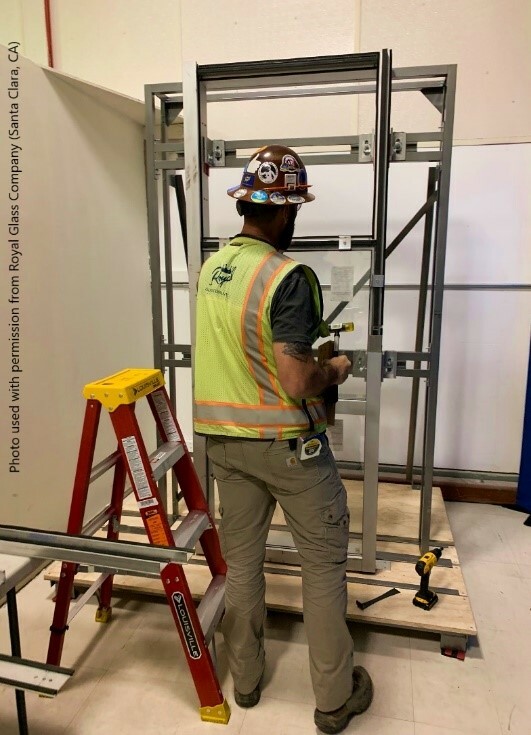 Great attention was paid to details to ensure the most critical of operations are assessed as a means to qualify only those who are truly able to demonstrate the Knowledge, Skill and Abilities to call themselves AGMT Certified. 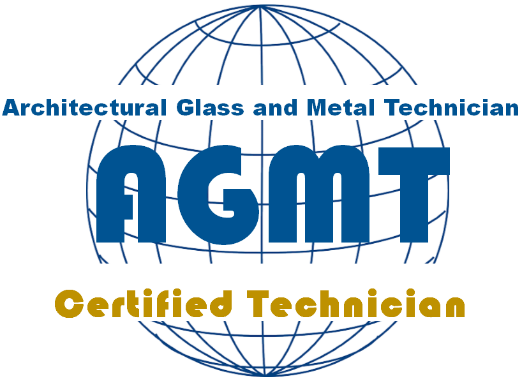 In addition to meeting the Program Prerequisites, candidates must pass an assessment of their glazing knowledge, skills and abilities to become AGMT-certified. The assessment is divided into two tests, a Knowledge-based Test (KBT) and a Performance-based Test (PBT). This two-test format is designed to evaluate a technician’s fundamental knowledge, skill, and abilities required to proficiently perform foundational or basic glazing tasks. The knowledge-based test is a 125-question, multiple choice test for which candidates will have 2 hours to complete. It is professionally administered on a computer in a test center. Because products, systems, and procedures are ever-changing, in order to maintain certification through the AGMT Certification Program, a certified technician must renew his/her certification every 4 years from date of most recent certification. This process will require candidates to sit for a knowledge-based, written test, plus provide evidence of a required number of glazing-related work hours during the preceding 4 year period, and completion of a prescribed amount of continuing education. Refer to the AGMT Candidate Handbook for specific requirements.